San Francisco police circulated this composite of the Bay Area's "Zodiac" killer, October 21, 1969. At left is a drawing from witnesses to the slaying of a cab driver in San Francisco. The amended drawing on the right was based on further questioning of the witnesses. 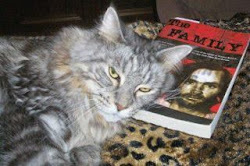 The suspect is also linked with four other slaying in Napa and Vallejo, Calif.
Hi Lynyrd:I think Brian is going to have Howard Davis, author of "The Zodiac-Manson Connection", on his Star City Radio Show Sunday night (9/3/12). Howard Davis' book focuses on the possibility of Bruce Davis being the Zodiac killer. I've began looking into this and my personal opinion (so far) is that the chances of Bruce Davis being the Zodiac killer are nearly zero. The police have fingerprints, a palm print, hair DNA and saliva DNA from the Zodiac. If any of this matched Bruce Davis, I think the connection would have been made by now. Also, Bruce Davis had long hair during the period of the Zodiac killings. His hair can be seen, in one of the Hendrickson documentaries. He doesn't even remotely resemble the bespectacled, crew cut, police sketchers made from eyewitnesses. Not all parts are there, I think some have been removed by YouTube. I think Bruce Davis has a parole hearing rescheduled for Oct. 4, 2012. (Just a few days away). Also, thanx for the post about Beyond The Valley of the Dolls, I liked the poster you (or someone else) found. If I keep going, you may have to change the name of the "Hall of Fame" to "Sunset Boulevard". (that's only a joke of course). Brian Davis is interviewing Howard Davis, in regards to Bruce Davis? Davis' book must be out of print, because I could only find used copies, and they were selling for around $60 a pop (and up), for used paperback. 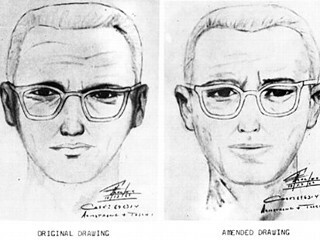 I don't believe Davis (Bruce Davis that is... LOL), is/was the Zodiac Killer either. Well, Zodiac has been an interest of mine for quite some time. And Howard is well known in the Z online community. He's a nice enough guy I guess but, if anything, Bruce is one of the few guys in California at that time that can be ruled out as a suspect - not ruled in! Like Sunset says, his long hair for starters. And the southern drawl was not evident to Bryan Hartnell, the surviving witness at Lake Berryessa. Zodiac wore a hood for that one, but Hartnell stated he was about 225 lbs in weight. And Zodiac was a little busy through 1969 killing in the Bay Area, and sending several letters and ciphers to the press, none of which were Manson-like. IIRC, the tie-in began with a note being found, signed by Zodiac in the room of murder victim Doreen Gaul. She, a 16y.o. Scientologist & her boyfriend (James Sharp) were brutally killed in LA. Bruce is alleged to be one of her boyfriends. Oh, and there's the (fake) 1978 Zodiac letter to the LA Times, which mentions/threatens Sadie, among others, and has a Beatles reference as a return address on the envelope (1234567 AGCGTH). My money would be on Family hanger-on & pervert, White Rabbit for that one. Howard did have success pedalling his cornball theories to someone though - Bill Nelson. ..........Nuff said? Thanks Sunset, for all your interesting contributions!! Much appreciated!! I believe the show will air on 9/30/12, not 9/3/12, which is this Sunday. I don't think Bruce is smart enough to have been the Zodiac killer. Cease, tell us more about the "fake" Zodiac letter. I have never seen that. The letter can be seen on Howard's site (which IS pretty good, I have to concede, even if the conceit is beyond belief). Oh, and I got mixed up...the letter was to Channel Nine, not LA Times. ....Oops! He (or whoever sent this letter) was threatening to kill Pat Boone??? That's like killing Mary Poppins. LOL. Let's not forget Jefferson Davis, the President of the Confederate States of America. HA HA. Cease, I don't know that much about the Zodiac killings. I've read about them, but it's not that interesting to me so I don't know dates and times. If the letter was received in 1978 then it had to be from some Manson hanger-on like you said. I'm surprised that someone would threaten Susan Atkins in 1978 for being a "Judas". That was lame. I've been reading up on where Bruce was during this time. I don't go so much for the Zodiac killings as I do for the Zero, Doreen Gaul, James Sharp & Joel Pugh killings. I really do believe that Bruce was involved in these killings. I think the Manson murders were for a reason, i.e., there was a motive behind them. The Zodiac killings were random. I just don't see the connection to Bruce Davis. there is no way bruce davis was the zodiac. the book written by davis was actually ghost written by bill nelson's son and he writes just about as his papa. don't bother lynyrd unless you want it for a collection. davis (nelson) mainly takes random beatles lyrics and tries to associate them with zodiac murders---just rediculous. Thanx for the post. I kind of "rushed" this one because I think Brian is going to talk about it on the Radio Show tomorrow night. Several months ago a person I talk to online that lives near Spahn and visits there occasionally asked me if I thought Bruce Davis was the Zodiac, I had no idea. Whenever Bruce Davis's name comes up, occasionally, the Zodiac killings come up also. I know very little about the Zodiac, but as I said, the chances of him being Bruce Davis are very slim in my opinion. It seems to me to very odd the police have never identified and captured the Zodiac. The man left evidence and eyewitnesses all over the place. I also wonder what happened to him. I don't think it's likely a guy would commit murders, send taunting letters to the police and media, then one day just decide to stop. However, I think the BTK killer "laid dormant" for a number of years and was a church deacon. I met and talked to a few of these types of people when I was in prison, but I'm not an expert on what they do or why they do it. I just saw Pat being interviewed about the recent passing of Andy Williams. Pat Boone is a clean wholesome reverent guy!